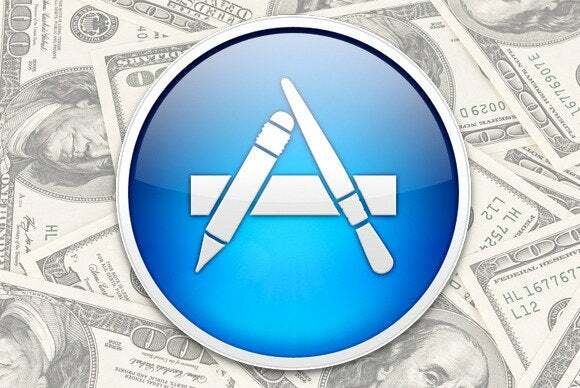 Over the past week or so, the Apple community has been abuzz with a series of blog posts on the realities of trying to make a living on the App Store. “Indie developers”—those who derive most of their income from selling software as a one-person shop—are nothing new. Many of the most venerable Mac and iOS apps around, from RSS reader NetNewsWire to popular read-it-later app Instapaper, have been developed and launched by independent entrepreneurs working on their own time and dime. This doesn’t mean that going at it alone is all rainbows and ponies, however: As the various App Stores have become more saturated, the bar to publishing a successful app has inevitably gotten higher and higher. After all, more apps means more competition, and established brands can generally only be unseated by either significantly better features or significantly bigger marketing budgets—both of which are hard for a lone developer to invest in. This is a particularly hard-hitting truth in the iOS world, where the App Store is the only channel through which software can be sold. Big brands greatly underestimated the popularity of Apple’s ecosystem in the first years of its existence, leaving the market wide open to a gold rush of independent developers who both created many innovative apps and made a very good living from them. These days, trying to get a successful app on the App Store means duking it out with a combination of deep-pocketed giants who keep exerting a downward pressure on the average price of software, and a mature market in which many categories—weather apps and RSS readers come to mind as examples—are flooded with products that are, on average, pretty good at what they do. As Unread developer Jared Sinclair illustrated in a recent blog post, having a highly polished app with plenty of positive reviews is no longer a guarantee of making big bucks. Not all is lost for the indie developer, however. Things are—at least anecdotally—better on the Mac side of this equation, probably due to a combination of factors. For one thing, Mac developers enjoy a less-crowded marketplace, since the Mac App Store has only a fraction of the apps that can be found in its iOS counterpart. OS X software also enjoys a higher average price point, not the least because developers always have the option of selling their products independently of Apple’s distribution channel. And, to be fair, there are still plenty of success stories even in the iOS world. While Unread’s story is far from atypical, a number of indies have chimed in with blog posts of their own, in which they outline how they have been able to do well in the face of stiffer competition and market complexities. Still, this trend of general discontent among indies ought to be worrying the folks at Apple. I’m sure that Cupertino doesn’t mind big brands investing in iOS development, or the App Store being populated with apps that are both plentiful and inexpensive, but independent developers have been responsible for many innovations that have made iOS such a successful platform. The ability of indies to take risks, create amazing apps, and thrive is something that Apple should fight tooth and nail to protect and promote. Without it, if you’ll excuse a bit of hyperbole, the App Store risks slowly transforming into a sad world of generic apps and freemium games intent on bilking unsuspecting customers of their money—and that’s definitely not the kind of environment I, for one, would want to be part of.